The Omron CP1H series of programmable logic controllers are capable of having 4096 basic counters. 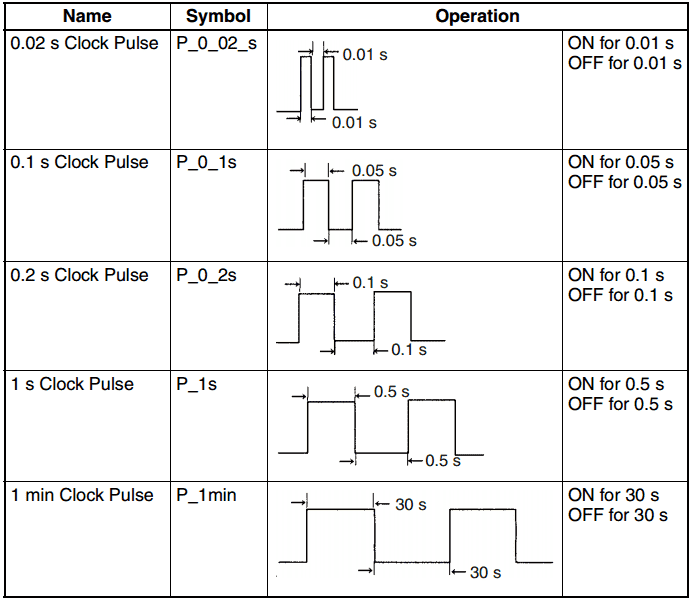 There are two basic counter instructions in the PLC. Each of basic instructions can be either binary or BCD. The memory area for counters have separate areas for the Counter PVs (Present values) and the Counter Completion Flags. We will be looking at the basic Counter instructions in the CP1H along with some programming examples. CNTR – Reversible Counter – This will increment or decrement depending on the input. CNR – Reset Counter / Timer – This instruction will reset a range of timers or counters. All of the above instructions use BCD (Binary Coded Decimal). If you put an ‘X’ behind each of the above instructions you will indicate the same operation with values in binary. You would use binary if you would like a higher count value. Let’s take a look at some sample programs. There are several ways in which we can use the counter instructions. You can apply all of the following examples to the basic counter instructions. We have wired into input 0.08 a magnetic pick up that will provide pulses into the PLC. This will serve to demonstrate the counter functions. When bit 21.00 turns on it will enable the pulses from our magnetic pick up sensor. This will start to count down from the set value (SV) of 30. Once the present value (PV) reaches 0, the counter 0 output bit will be turned on which will turn the output on. The output will remain on until the reset signal from input 21.01 is activated. When power is cycled on the PLC or the mode of the PLC changes from run to program, the PV of the counter is remembered. We can make a memory retentive timer using a counter and a clock bit flag. When bit 21.02 turns on, it will allow the 0.1 sec pulse bit to trigger the input for counter 1. The SV valve is set for 100 which is equivalent to 10 seconds. After the counter counts down to 0 the output (100.01) will be turned on via the C0001 bit. You can adjust the set time by the SV value or use a different clock bit value. Using a first scan flag on the reset of the counter will make the counter non memory retentive. This means it will reset when power is turned off of the PLC or the PLC mode changes from program to run. In our example, when bit 21.04 is turned on it will allow the magnetic pickup pulses to activate counter 2. Counter 2 output bit will then turn on output 100.02. The output will turn on if the counter PV value increments one past the SV. When decrementing the counter the output will turn on when the counter decrements one past the 0. This will place the counter back at the SV. The counter reset instruction can be used to reset a range of counters or timers. In our example the counter range C0 to C3 is reset with bit 21.08 is turned on. This instruction is useful for resetting the entire machine timers and counters. Frequency that we can read the inputs are expressed as pulses per second which is hertz. 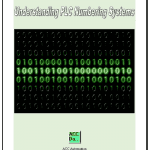 If the scan of our PLC is 1 msec then we can read the input condition 1000 times per second. This can then be expressed as 1Khz. Inputs usually will have a filter. This filter will prevent the input signal from bouncing when inputs switch. Bouncing usually occurs when mechanical relays are used in conjunction with the PLC input signal. The CP1H PLC has a default of 8msec input filter for the inputs. 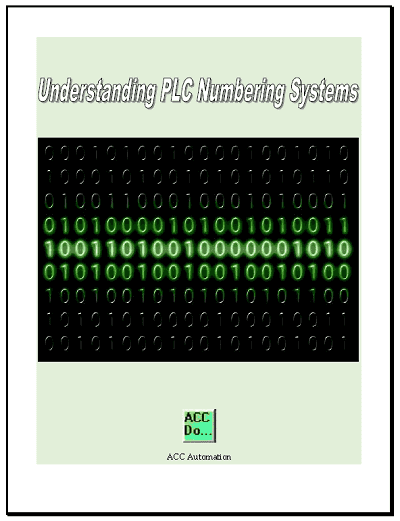 This can be changed through the setup of the PLC. The CP1H PLC also has four high speed counter inputs. Each of these inputs can be 50 KHz input frequency using the differential phase inputs. This increases to 100 KHz when using any of the other three modes. There is also an Input Interrupts Counter Mode. This will allow you to set up 8 different counters that will active an interrupt task when the count reaches the set value. The maximum response frequency is 5 KHz. See the YouTube video below on counters in the Omron CP1H PLC. Next time we will look at data movement in the Omron CP1H PLC.